Thinking about how to Bid Goodbye to 2016 and Welcome 2017 with your friends and family? This is your PARTY! 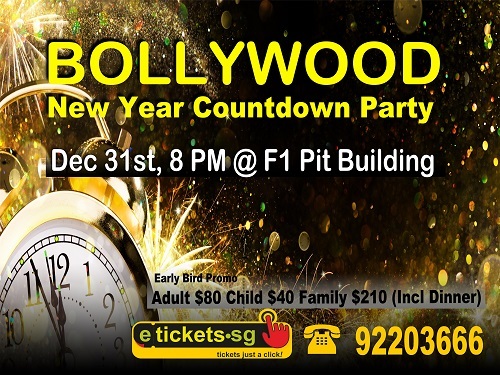 Bollywood Countdown 2017, Singapore’s Most attractive Bollywood New year Countdown Party! 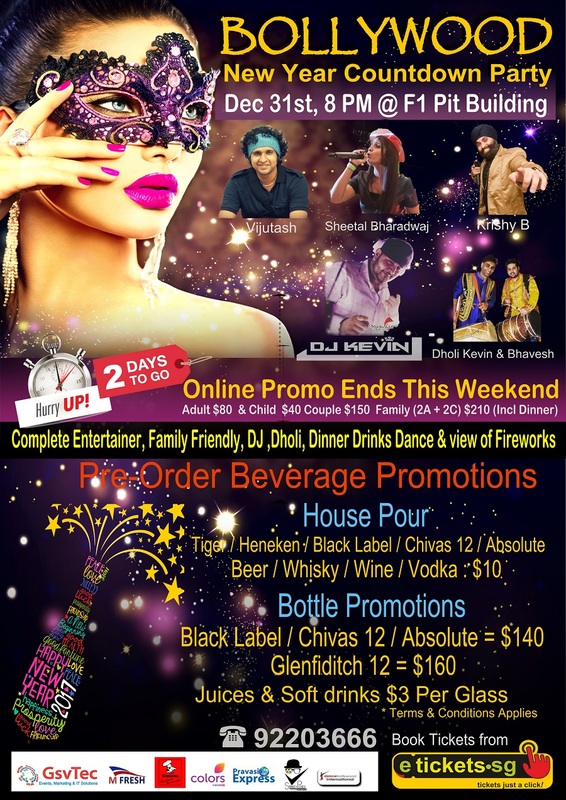 Is a Family friendly Event with Bollywood theme bring on your mask for more fun features Bollywood DJ Music / Dholi / Variety programs / Karaoke / food Drinks dance & lots of fun.